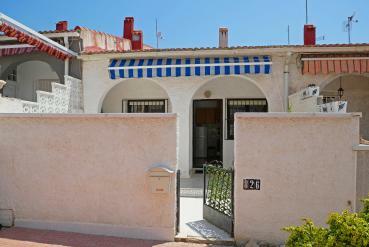 We provide you the best properties for sale in La Siesta, Alicante. Rely on us to find your new home in the lovely Costa Blanca South, Spain. We want to talk you by this article about our current selection of properties for sale in La Siesta, Alicante. We make available to you affordable properties and truly bargains in one of the best urban complexes of the south of Alicante region. In fact, our range of properties for sale in this point of the Mediterranean starts at just €45,000. La Siesta is located really close to Torrevieja city, which means that buying one of our properties here you will enjoy of a great natural environment and a great number of services at the same time. Modernity and a traditional spirit come together in this area. In addition, La Siesta is very well communicated by road, so you will move easily to other near towns or developments like Guardamar or Ciudad Quesada. Most of our properties in La Siesta are bungalows, which represent a great holiday home in the Mediterranean. However, our current range includes also apartments, townhouses or villas. We can provide you the right home for you in this magnificent urban complex of Alicante. Most of our properties for sale in La Siesta have attractive features and extra elements such as off road parking, air conditioning system, fully equipped kitchen, garden, large terraces and even swimming-pool. At Casas Espania we are able to find the right home for each client, so let us know what kind of property are you looking for and we will be glad to start the search of your dream home in the Mediterranean. Please, feel free to contact us if you are interested about our range of properties for sale in La Siesta, Alicante.